Large gatherings, such as outdoor events, weddings, concerts and conferences, call for robust lighting techniques to support elaborate decorations, and enhance the overall mood of the environment. Uplighting is a popular lighting method that can be used to achieve such configurations. It involves installing fixtures on the ground, and aiming the beam of light upwards. Most configurations project light on a wall, ceiling or a particular object. When used outdoors, it can be utilized to support perimeter lighting. The practice may also be applied in landscape and architectural lighting systems to bring attention to statues, trees or ornaments. LEDs are ideal for uplighting applications, compared to incandescent lamps. The latter consumes more power during operation, which translates to higher operational costs. In order to produce colors, incandescent lights rely on gel paper. In application, the film is carefully wrapped over the lamp, and light is illuminated under the colored paper. If you’re working with numerous fixtures, this can be tedious and extremely time consuming to execute. Additionally, it is not possible to toggle the colors of incandescent lights with gel paper. One would have to manually remove the cover and replace it with a different colored film. Most people prefer to work with LEDs because they are aesthetically pleasing and energy efficient. The compact fixtures take up very little space, and do not generate unbearable amounts of heat during operation. The solid state fixtures can also withstand rough treatment, which is an essential feature for uplighting; since the lights are usually installed on the ground (people could accidentally kick or step on them). LEDs also support RGB colors and instant toggling for savvy lighting effects. •	10mm RGB uplights: This type of uplight is made up of roughly 100, 10-millimeter diodes, with even ratios of red, green and blue colors. High quality 10mm RGB uplights come with amber diodes for a wider selection of color combinations. The drawbacks of using this type of LED light for uplighting includes: color shadowing, tight beam angles and low brightness settings. •	Tri, quad and hex LED uplights: Tri-LEDs address functionality issues associated with 10mm RGB uplights. It incorporates all three RGB colors in a single lens. This reduces problems related to color shadowing and mixing. Unfortunately, the fixtures still fall short when it comes to brightness. Because of this, manufacturers released variants with RBGAW+UV (red, blue, green, amber, white and ultraviolet in every lens) features. The robust fixtures are not only brighter, but also offer a wider variety of color combinations. •	One-watt RGB LEDs: First released in 2000, one-watt RGB LEDs are a viable upgrade for 10mm RGB uplights. The units support better color mixing, but color shadowing remains a problem with the fixtures. The range colors you are looking for may dictate the type of RGB LED fixture you need. For example, if you want tones of amber and yellow, it is essential to invest in a light with an amber diode, such as RGBA. If you need to produce tones of white and pastels, it is recommended to go with a fixture that supports white and amber diodes, such as RGBAW. A new trend in uplighting incorporates the use of battery-operated, wireless fixtures. This could be a practical option for locations without convenient access to electricity. Individuals who want a cleaner lighting configuration without messy extension cords may find this type of fixture suitable for their needs. It is important to consider that the cost for wireless RGB lights are initially higher, compared to their traditional, wired counterparts. Uplighting can be tricky to install without proper guidance. To prevent obstructions during application, it is recommended to leave a three-foot buffer from tables, chairs, dancefloors, stages and high traffic zones. If you’re considering syncing the lights with music or presentations, try going with remote-controlled LED uplights that allow you to save settings and profiles (memory features). 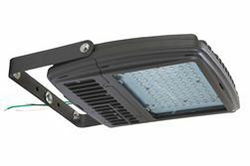 For outdoor uplights, water, in the form of rain and dew, and cold temperatures should be avoided to prevent premature failure and malfunction. Uplights with waterproof ratings can be installed in the location to ensure functionality against such conditions.